Throughout history potters, sculptors, painters, poets, novelists, cartoonists, song-writers, photographers and film-makers have recorded and made sense of boxing. 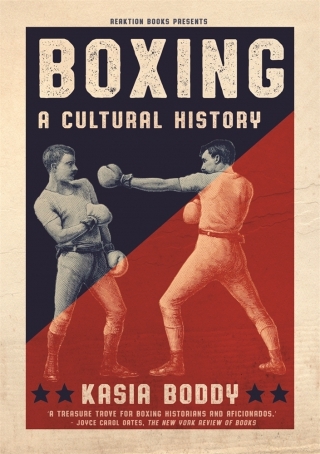 In her encyclopaedic investigation of the shifting social, political and cultural resonances of this most visceral of sports, Kasia Boddy throws new light on an elemental struggle for dominance whose weapons are nothing more than fists. From Daniel Mendoza to Mike Tyson, boxers have embodied and enacted our anxieties about race, ethnicity, gender and sexuality. Looking afresh at everything from neo-classical sculpture to hip-hop lyrics, Boddy explores the way in which the history of boxing has intersected with the history of mass media, and sheds new light on the work of such diverse figures as Henry Fielding and Spike Lee, Charlie Chaplin and Philip Roth, James Joyce and Mae West, Bertolt Brecht and Charles Dickens. 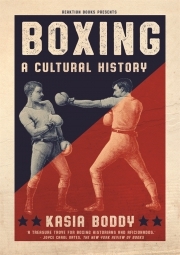 This all-encompassing study tells us just how and why boxing has mattered so much to so many. Kasia Boddy is lecturer in the Faculty of English at the University of Cambridge and has published widely on British and American literature and film. She is the author of The American Short Story Since 1950 (2010) and Geranium (Reaktion, 2012), and the editor of The New Penguin Book of American Short Stories (2011).